Fast forward to April 2017 and I happened to take the same photo making the same face, only this time, I was at my final goal of 165 lbs. It’s amazing what a difference that last 30 lbs of weight loss made. Now, I’m at around 162 lbs, and I’m not sure where my weight loss will end, but I find myself getting leaner all the time. Aside from eating clean, I run every other day which is having a big effect on my overall health. Stick with it. The payoff is worth the discipline you have to use to get there. 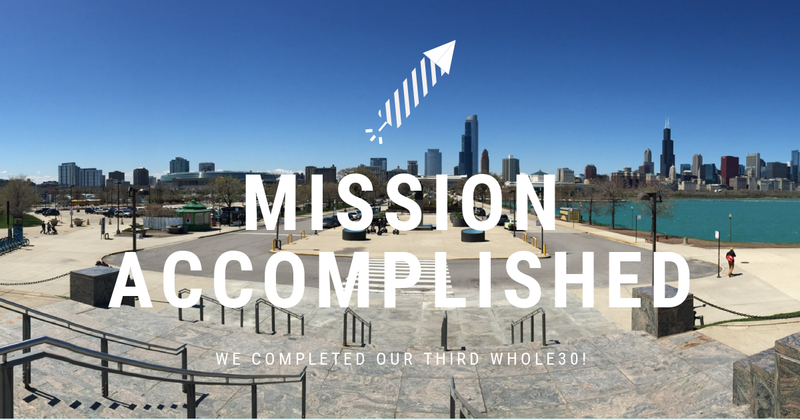 Yesterday marked the end of our third Whole30. The first Whole30 Sherry and I did was back in 2015. We started it in September, and it kicked off our healthy lifestyle and a weight loss of 150 lbs for me. We transitioned from Whole30 into the Paleo Diet, and it’s been our lifestyle ever since. We started a second Whole30 about six months later, but it didn’t last the duration. I don’t remember why, but for whatever reason, we fell off. It wasn’t such a big deal because we were well aware of the food rules, how to eat, what to eat, and we were continuing to make good progress in our health and weight loss. About two or three months ago, Sherry told me she wanted to do another Whole30. She said that she had picked up some bad habits such as relying on snacks, desserts, and increased portion sizes in her meals coupled with a slight weight gain and inability to fit into some of her newer, smaller dresses. 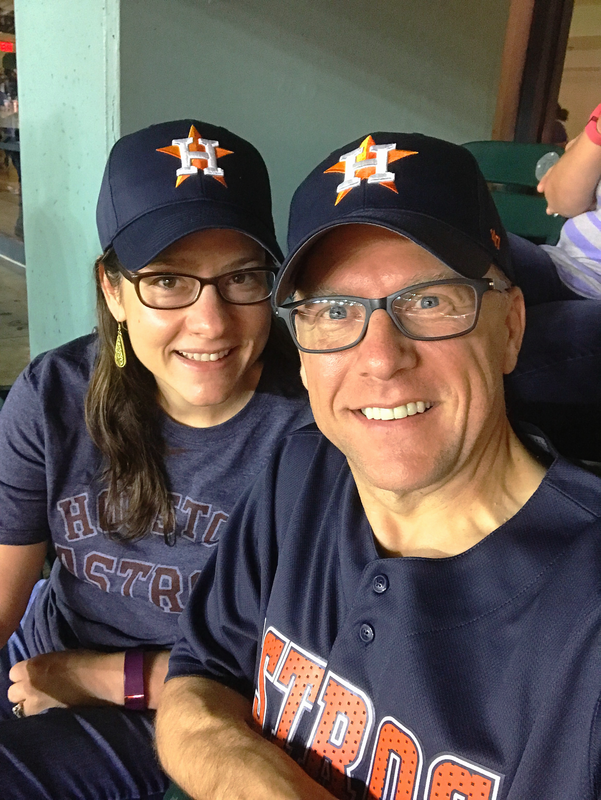 I agreed to do this Whole30 with her for a few reasons I’ve discussed earlier in blog posts a while back: solidarity, and a desire for me to lose a final few pounds to get to my final goal. Well, I’m happy to announce that I’m now firmly at and past my goal weight. I got down to 162.9 lbs, although my actual weight right now is hovering around 164 lbs. The reasons for this have more to do with muscle mass as my body fat ratio is around 10.5% as evidenced by my abs showing. From everything I’ve read, your abs only show when you’re around 10-11% body fat percentage or lower. There are some days they show better than others, especially after my runs, but I’m very happy with my body composition right now and with my weight. I fit into 31” trousers comfortably, and I can easily wear US small and medium or Europe M/L sized shirts. Did I learn anything this time around on the Whole30? Not really. I learned what I needed to learn the first time through, but this time it kept me off of some sugars I would have likely eaten, even if they were Paleo-approved. It turns out that even the “Good” carbs can cause me to hold onto water weight or cause me to gain a little weight. Having done this last Whole30 coupled with the running and push ups I do regularly has really been a boon to my weight loss, and put me exactly where I want to be. What’s next for Sherry and me? More of the same. We won’t be changing much up, although I will now have a little more freedom to eat a Paleo cookie after dinner if I really want one. Being an active runner forces me to eat some carbs, more than I normally would, after runs to help rebuild my muscles, so I will have a little more leeway to do that now. Since I weigh myself daily, I will continue to monitor my weight and analyze the previous day’s food intake and its effect on my body. I know that weight is but a single measure among a host of data points I use to analyze my overall health and fitness, and it’s difficult sometimes to reconcile a little weight gain with a smaller waist size, increased fitness performance, and reduction in body fat percentage. However, when analyzing the overall picture, I continue to make progress and I am surprised almost daily with at least one win in any given area. That’s huge. Don’t underestimate what a Whole30 can do for you. I know a few people who are starting their own Whole30 soon, and I wish them luck and any help or advice they are looking for. I’m here for you! Don’t be shy; message me, PM me, or email me. Heck, if you have my number, text or call! I want to help you be as successful on your Whole30 as I was on mine. It really is a life-changer if you stick to it properly. 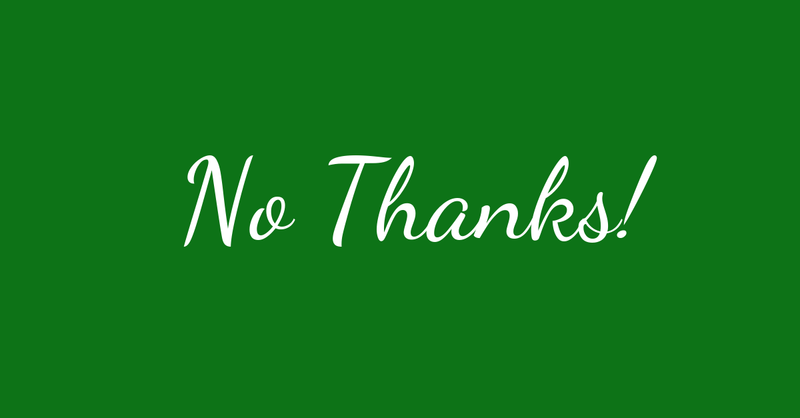 In our society, we have an aversion to saying no to things. We are a polite people (well, most of us want to be, at least) and when we are offered food or drink, we naturally thank the person and accept whatever it is they are giving us. We don’t want to be rude, after all. This is something I had to get past when I did my first Whole30. I was being offered drinks and food at every social gathering, and at first, it was uncomfortable. I would begin to tell them about the changes I’m making in my diet, why I’m doing it, and how I can’t have the item they were offering me. The first few times were the worst. But then something strange happened. Not only did it get better, but people weren’t offended. Now, I just smile and say, “No thanks.” If they show any hint of disappointment, I add, “But that does look amazing.” Only then will I add anything about my diet and how I can only eat certain foods. So far, everyone has understood 100% of the time and I have received no backlash. Sure, some people kid and tell me that I’m missing out, and I agree with them to a certain degree, but ultimately, my health is more important than a sweet snack. Smile and say no. It works, it’s easy, and it will keep you on the right track. It works for me, and surprisingly, people are quite understanding about it. Holy smokes! 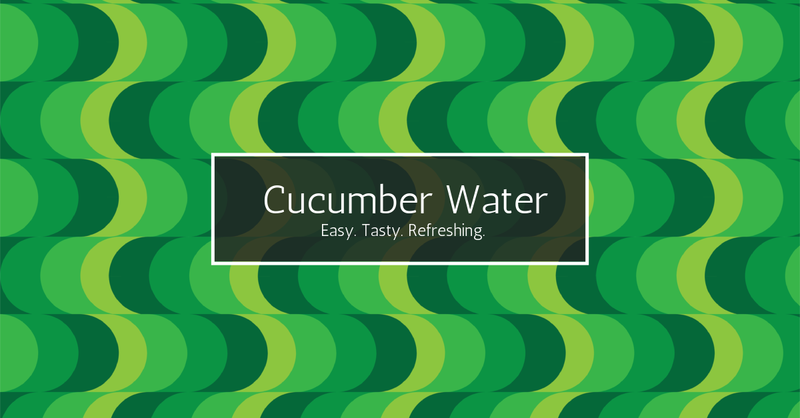 Where have you been for the past 20 months, cucumber water? You are AMAZING! So refreshing, a hint of sweetness, and you make water a pleasure to drink again. The one area in which I have felt the biggest hit in quality of life since going Paleo has been with drinks. I drink coffee and tea, but without sweetener, which make the drinks bland to me. Even after 20 months, I still miss my sweet drinks. I’ve had some Celestial teas, and the Very Blueberry is my favorite, but it’s not as good cold as it is hot (and it is quite heavenly when it’s hot!). Cucumber water, on the other hand, is freaking amazing. I buy a cucumber once every two weeks for the office and I cut it up and put it into a cup of water I drink every day. I am able to reuse the sliced cucumber a few times and it still tastes good. Having a refrigerator in the office does make doing this easy. I will begin experimenting with some other fruits and vegetables as well. Sherry drinks water with lemon in it all the time. I guess she’s been onto this trick for a long time while I suffered through with plain old water. I don’t know why I haven’t tried this sooner. I think Sherry even mentioned it to me, and I just dismissed it because I thought there’s no way any drink without sugar or sweetener could ever replace my beloved sweet drinks. Boy was I wrong! Refrigerate for about 30 minutes to an hour for best results. I reuse the cucumber one more time after the first drink, and it still tastes good. The third time? Not as much cucumber comes through, so I stick with using cucumber slices only twice. So there you have it! A drink that you can have that feels refreshing and delicious, and a PaleoMarine.com first: a recipe! I know; it’s kind of weak to call that a recipe, but baby steps. We’ve got to start somewhere. What would make you change your diet? For me, it was a number of things. 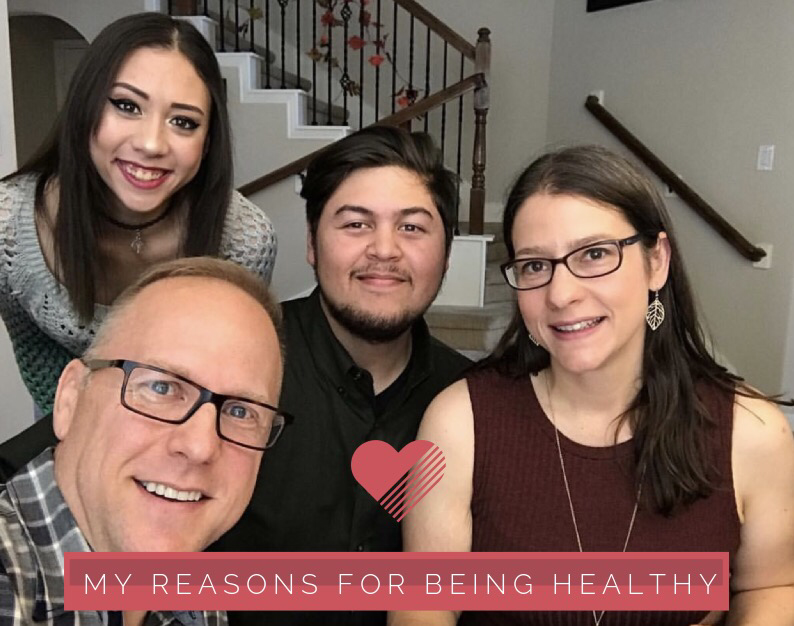 From my kids telling me they were afraid I would never live to see grandchildren, friends telling me they were sincerely afraid for my health, and family members telling me that I was extremely unhealthy and needed to do something to lose weight ASAP. My doctor told me as much, but his method was to take drugs that limit your ability to digest fats. This didn’t work at all. Eventually, it came down to my being so incredibly uncomfortable in everything I did that I needed the change to happen. I couldn’t tie my shoes without holding my breath. I couldn’t sit in booths in restaurants. Flying on an airplane was an incredibly uncomfortable ordeal not just for me, but anyone with the bad fortune of being assigned the seat next to me. My health was beginning to decline: Diabetes, high cholesterol, fatty liver disease, nerve damage, and poor circulation in my feet. These things were all happening at once; I went from being relatively healthy for a fat guy to all of the sudden, standing on the precipice of death. I am too young to die. That’s what I told myself. 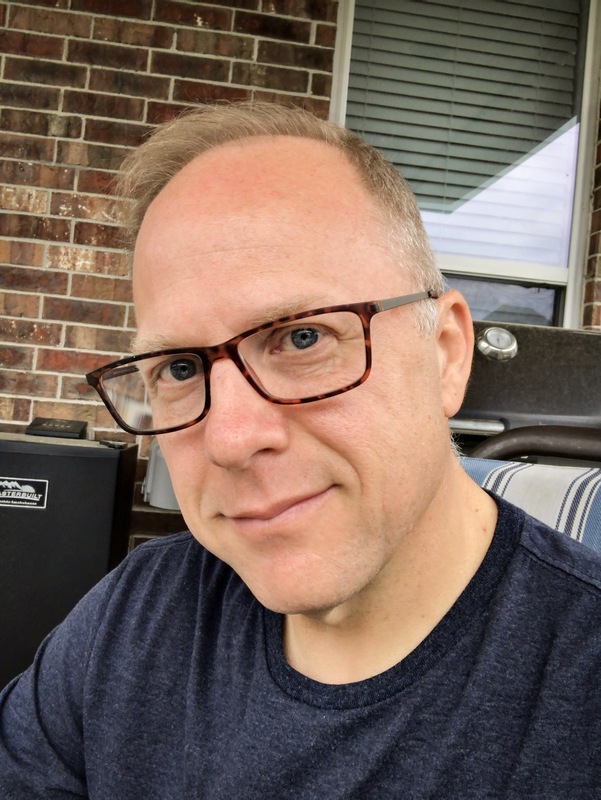 At 48 years old, I felt like I was 70. I was slow, sluggish, and easily exhausted. Normal household chores were becoming difficult for me to complete. I began going out less and even getting up to get a drink was starting to become difficult. I had to change my life or I would lose it. For me, it was a no-brainer. Change the diet. Then, the craziest thing happened: I lost weight. Not just a little, but a lot. 147 lbs in 20 months total, with 110 lbs of that coming off in the first 12 months. I became a new person. I felt young again. I had energy. I was able to do things I couldn’t do since I was in my late 20’s. It’s as if I had been reborn into a new, younger, and more fit body. I eat well/clean now, and I run every other day. I do these things because they make me feel amazing. Do I miss pizza, pasta, cake, and muffins? Of course I do! But I don’t miss the feeling of being fat, out of shape, and dying. I much prefer how I feel now. That few minutes of pleasure during eating isn’t worth the 23+ hours a day of feeling great in my own skin. What will it take for you to change your diet? How close to the precipice will you need to get before you take the necessary steps back away from it and change your life? It happened without trying. It happened when I thought there was no more to lose. After my run, I weighed myself, and I was surprised by weighing in at 162.9 lbs. Wow! That’s the lowest I’ve weighed since I was around 23 years old, and almost a full 2 lbs less than my last low. The fact that I’m losing weight means that my body is still reconfiguring, and still getting leaner. I run every other day, and that helps, but honestly, the weight loss kicked back in once Sherry and I undertook our third Whole30. The strict diet and attention to the food we are eating has helped me re-learn portion size control and got me off the dessert habit I’d reacquired, even if it was only a Paleo cookie every other dinner or so. My goal was to hit 165 lbs. I’m now 162.9 lbs. That makes me very happy, and it makes it easier to run, makes my clothing fit better (although I’m now into small sized shirts and smaller pants which means more visits to the outlet mall for more new clothes), and I even feel better (which I didn’t think was possible). Every holiday or special occasion in the US has, at its center, plates of food. This is common around the world as well, although different cultures go about it differently. I will not go into how other cultures celebrate with food; I will focus on the US. We like to have platters and plates of food available for grazing. You know what I’m talking about: plates of food stacked as high as you can without it tipping off the plate, eating it, and then returning to the food table for more. This goes on for hours until either it’s time to go home, or the food is gone. There’s no real reason for eating this much; it’s just something we do at these get-togethers. I know about this all too well, because I was one of the “Big hitters” when it came to social gatherings. I was the guy who cleaned up plates, asking hosts if there was any more of a certain food left to eat. I could sometimes see the consternation on their faces as I ate at least 2-4 people’s worth of food. At least none of it went to waste; I never threw away uneaten food. I am perfectly okay with food being at celebrations, but perhaps we need to stage the food and bring it out for the sit-down portion of any celebration. A meal time, like we do for Christmas, Thanksgiving, and Easter. This limits folks to an eating time and teaches our kids that food is not entertainment, but fuel. At special occasions, you can eat special foods with the people who are the most important in your life, but outside of that, food isn’t to be used as a means of having fun. Even for me, it’s tough to be good at parties when there is an entire table of food in front of me. Even if it’s all Whole30 or Paleo compliant, it is very easy to over-eat (and I often do). Just because it’s good for me doesn’t mean I can have 2-4 times as much food as I normally would in the same amount of time. That’s not good for anyone. This is just an idea. I’m not sure how it would go over with the people I know. When we do BBQ’s, we typically have some snacks out (healthy ones, mostly) and then we serve a meal. After the meal, the food is pretty much put away, but the fact remains that the snacks are typically out for hours before the meal. Guests come in, grab a plate, and go. Kids are notorious for hovering around the table, grazing and taking in as much as they can fit (and then some more). This isn’t doing the kids any favors and teaches them some bad habits. I know: I was the result of this kind of grazing. I don’t know that we can fix society or our culture and how we use food to be the center of our social gatherings, but I hope this gives you something to at least think about and consider.